Polishing is a process in which tiny grains are used to grind the surface of a material in order to make it perfectly flat and smooth without a scratch. This is the final stage in stone processing, and its importance should not be underestimated. The success of the entire stone roughing, cutting, grinding process is linked to this stage because the "polish" determines the value of the stone product at last. There are actually two separate mechanisms associated with the concept of "polishing." Polishing the surface of granite involves "grinding and cutting" as well as "buffing." Lumped into one large classification, polishing processes are actually divided into separate categories, which consist of coarse, middle, and fine grain polishing. For the coarse process, the grain (usually diamond) is larger and bond applied for polishing tools sometimes become "metal" which has strength in long-life and hardness compared to resin-bonded type. As compared to marble, granite has a harder surface, so polishing it can be a difficult task. 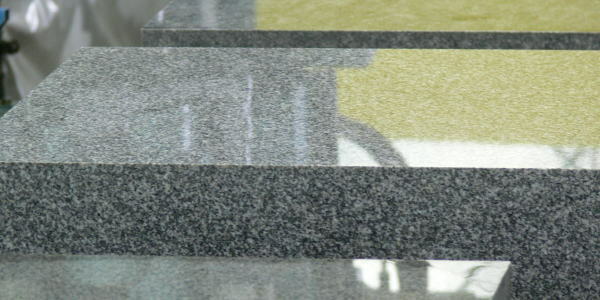 The surface's finishing gloss varies by the color of granite. Generally, black granite tends to achieve a higher gloss than white granite. Indicated by gloss meter, some black colored granite achieve more than 100. Metal-bonded polishing tools are suitable for preparing a base for the granite's surface. This "roughing-in" process creates the flat surface need to proceed onto the next process. This process resembles grinding. Resin bonded polishing tools are a standard tool comprised of a disc and a pad. 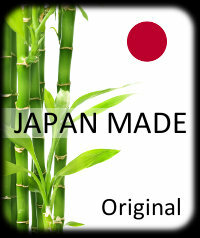 They are primarily utilized during the middle phase just before the final finishing. Resin bond is very soft and acts like a cushion so the diamond does not deeply penetrate the surface of the material being polished. As compared with metal, resin bonded polishing tools wear faster, but their cutting speed is faster. 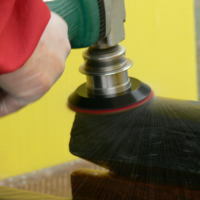 In the final stage, buffing tools are utilized. Heat is generated during the process, and the buffing literally polishes the surface and makes it shine. There are several kinds of buffing that suits each specific type of stone. The surface's finish varies according to the type of tools selected for the final process. For this buffing, polishing mechanism is more like melting the surface ratherthen cutting the surface.